I noticed today that there is a rash of Bigfoot videos being posted on social media, namely Facebook. Some of these are ones I have never seen before or must have missed. So, I thought I would take a little time to share some of them with you. One particular video is one I had a chance to work on and I will share some information about it. Of course, some of the videos are better than some of the others but that is just part of it. Lets take a look at some of them. The first video is yet another very interesting and amazing video shot by our friend Leo A. Frank. I had the privilege to work and view this video. 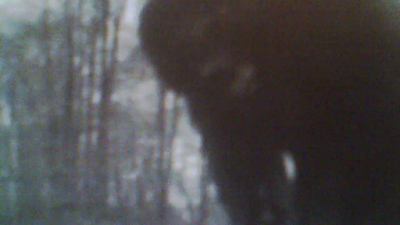 What you see appears to be a big shouldered Bigfoot hanging on the side of a tree. The creature moves it's right leg and foot up the tree, turns slightly towards the right and reaches down with it's right arm. The video is pretty amazing. Some are saying it is a bear, but I just don't see a bear at all. The figure appears to have a human shaped head, legs with feet and arms with hands. 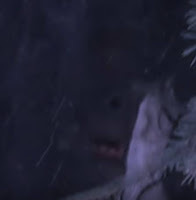 There is some speculation that there is also a small baby Bigfoot in the video and at one point there does seem to be a small head in the shot. 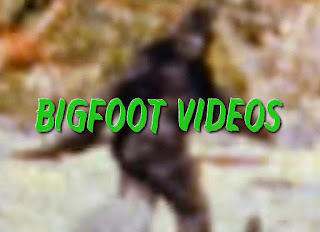 The video, as far as I know, is not available on YouTube but can be viewed on Leo's blog site, Sasquatch Obsevations - Just Click Here. Leo has captured a few videos now of Bigfoot in his research area. He is really getting some good shots. The next video is also very interesting but I'm not sure if I'm looking at a Bigfoot or something else. Supposedly, trapper Robert Ross from Nordegg Alberta Canada came across an old campsite when he notices a dark figure looking at him from some trees. He does film the creature but it is very hard to see, but Ross ends up taking off. As you can see from the still frame below there is a face there but of what is the question. 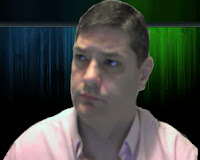 This third and final video I want to share was recorded 2 years ago, but is just now being released. It reportedly shows a possible Bigfoot or Dogman. The video was shot in Kentucky and according to the description, the creature was about 120 yards away. The creature does not appear to move at all in the video. Here is the video, lets us know what you think about it. Take a look at these videos and leave us a comment about them. Also as a side note, I'm currently working on a recent possible Thunderbird sighting. I hope to have more on that very soon. Ah ...I seen where he was stepping away but the video was still up at the time of this post. It was really interesting. Hiking & Bigfooting - Tracks Found! Is This The Long Extinct Dire Wolf?